Felix and Zelda have escaped the train to the death camp, but where do they go now? They're two runaway kids in Nazi-occupied Poland. Danger lies at every turn of the road. Review: *Sniff Sniff* Why?! 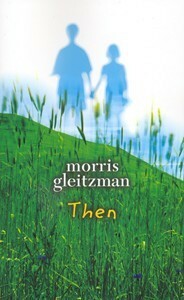 Why did Morris Gleitzman write such a sad story!! This is the follow on to his first book on the holocaust called “Once”. It continues the story of the young Jewsish boy Felix and his little 6 year old friend Zelda. I can’t really say that I enjoyed the first book or this book because it’s such an emotional topic, but I can say that I liked it because Felix felt very real and his voice was very strong throughout the book. It felt exactly like I was hearing the story straight from a 10 year old boys mouth. I don’t want to give away why it’s so sad but something really horrible happens at the end of the book and it left me stunned, I thought to myself ‘How can this be a book aimed at junior aged children? It’s very graphic and devastating at times’. I know, I know, it’s set in World War two and there wasn’t any happy times during the war until people found out it was over but.... I wasn’t expecting that!! This book is only 182 pages (which translates to only 3 and a half hours of listening) so it’s a very short, so when it ended I was craving to know what happened next, I needed to find out the ending to Felix’s story. So I am interested to see what happens in the next book and whether it will be the end to Felix's story. On the cover: As always there's many covers and this is the cover that I had for the Audiobook. What I find interesting is the brightness of the green and blue, If I had picked this up without knowing anything about it I would think it's not a really sad book about World War two. It seems like it's a coming of age story (which it kind of is but through experience of war not just normal everyday things). The silhouette of the children meant something to me after I finished, It seems a bit like disappearing (but that's all I'll say as it will give away too much). Have you read this series before? What did you think? I'll have to add this to my reading list. Sounds like a good read but not enjoyable.